A lot rides on your industrial boiler. From operating and energy costs to emergency repairs, it pays to keep your system performing at peak efficiency. In fact, routine maintenance often pays for itself over the course of a year. Plus, taking proper care of your boiler is critical for ensuring the safe operation of your facility. At North Point Boiler and Combustion, we focus on improving comfort and safety while reducing your building’s energy usage and operational costs by providing superior boiler maintenance in Kansas City and St. Joseph. If it’s been 12 months since your last boiler inspection, please contact us to schedule your next maintenance appointment. What Does Preventative Boiler Maintenance Entail? System inspection: The law requires boilers to be regularly inspected for safety concerns. This maintenance task identifies hidden corrosion and threats of insulation or pipe failure. It also reveals weak performance areas that can be repaired to improve efficiency. Diagnostics: We can help extend the life of your closed-loop boiler and make it operate more efficiently by installing meters on makeup water lines to monitor flow and detect leaks. Automatic surface conductivity blowdown systems may also be used to control total dissolved solids (TDS) and improve energy recovery. Water treatment: Boilers are made of carbon steel, an incredibly durable material designed to deliver a long service life. Still, the water inside your boiler must be chemically treated as part of a preventative maintenance visit to keep efficiency levels up. A silica-based water treatment product prevents impurities in the municipal water supply from forming mineral buildup that can reduce heat transfer and drive up fuel costs. Cleaning: In addition to preventing mineral scale, we can clean away any buildup that has already formed inside your boiler to restore peak efficiency. What Are the Benefits of Boiler Maintenance? Reduced energy bills: The most noticeable way preventative maintenance pays you back is by lowering your building’s operating costs. With adjustments, cleaning, and diagnostic services, our maintenance technicians can improve your boiler’s efficiency to previously unseen levels. Many times, our customers’ savings exceed the cost of maintenance, making this a sensible annual investment. Longer-lasting equipment: As with any mechanical system, you can expect your boiler to last longer if you take good care of it. Maintenance reduces wear and tear on your system, letting you get several more years of use out of it before you must invest in replacement equipment. Minimal service calls in the coming year: Annual maintenance from North Point Boiler helps you avoid premature equipment failure and preventable repairs that lead to unforeseen expenses. This allows you to budget your service costs more accurately with fewer surprises throughout the year. Less downtime for increased productivity: Breakdowns don’t just cost money to repair; they also temporarily leave you without a functioning boiler. This costly downtime adds to your losses. However, while North Point Boiler always recommends maintenance to reduce breakdowns, we offer rental boilers when needed to decrease downtime during extensive repairs. Improved comfort and safety: When your boiler operates at its peak, your building is more comfortable and less prone to dangerous malfunctions. This promotes peace of mind and decreases your liability. To begin experiencing the benefits of a well taken care of industrial boiler, contact our boiler technicians today to schedule your maintenance service! If you’re searching for a knowledgeable contractor to maintain the boiler in your KS or MO commercial or industrial facility, turn to North Point Boiler for a job well done. 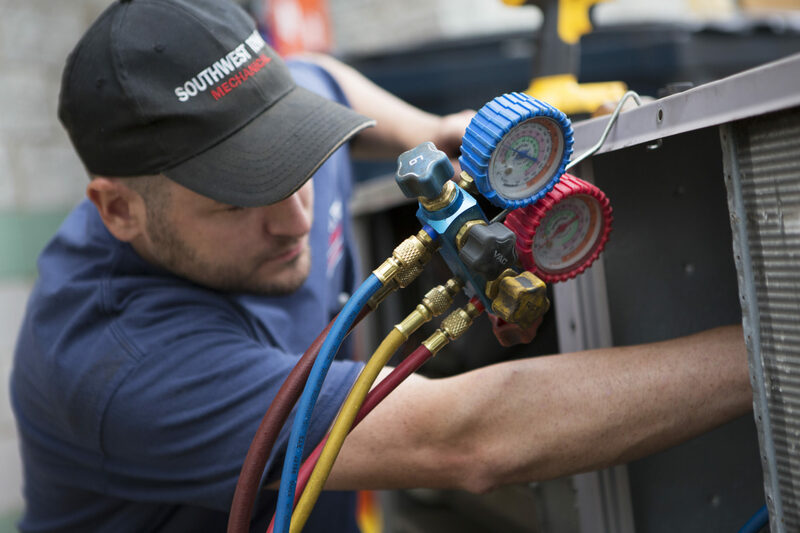 Our seasoned professionals take steps to improve the performance and efficiency of your boiler so you see the best possible results in your facility. To learn more about our services, or to schedule preventative maintenance, please contact us online today. We offer industrial boiler maintenance services in Kansas City, Topeka, Manhattan, Lawrence, Omaha, Warrensburg, Sedalia, and the surrounding areas.